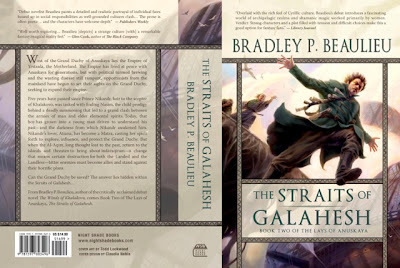 Strangely enough, though I've written five books up to this point (along with a few abandoned novels), I hadn't written a sequel until I launched into The Straits of Galahesh. I'd certainly had ideas for sequels. As a Tolkien disciple, I think in trilogies, so I had always planned on writing more books after the ones I'd finished before The Winds of Khalakovo, but I also knew that my time would be better spent if I tackled new projects. Why? Because if I did write a Book 2, I couldn't sell it. I'd have to sell its prequel, Book 1, first. And that didn't really help when (at the time) I was trying to get my name out there, get that first big sale. Having more poles in the water, in other words, was the wiser course of action. So it wasn't until STRAITS that I'd really had the chance to work with pre-existing material and expand on it. In some ways, it was a really gratifying thing. I'd spent so long developing the world, the characters, the magic, the politics, and then writing the story, it was like coming home. Strangely enough, I didn't jump right from WINDS and into STRAITS. When I finished wrapping up WINDS, I started submitting it for publication. That is, it wasn't sold yet. And so, following my mantra of starting a new project, I began working on a science fantasy. I got about 1/3 of the way through the book when the offer for WINDS came through from Night Shade. I was sad to set this other project aside, but I had no time to waste. I was now under contract. So the project went into the drawer and I started where WINDS left off. Like I said, it was a nice homecoming, but it certainly wasn't easy. No book is easy. You're constantly applying the lessons you've learned (and sometimes breaking them) or learning new ones in the process of writing of the next book. Also, so much has to change in the next book. The characters, the world, the situation (i.e. the plot) based on the conclusion of the last tale. So there are always a lot of new challenges, even in writing a direct sequel. 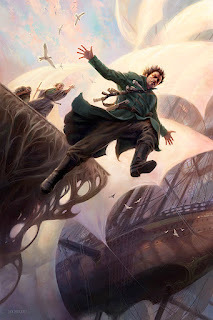 As a small aside, just to share one of the oddities of publishing, I was 80% into the first draft of STRAITS (and I certainly knew how the book was going to end) by the time WINDS finally hit the shelves. So while it may seem from the outside that the writer has time to take stock and make adjustments, we really don't. By the time enough reviews had come in to actually start forming a consensus, I was fully done with the first draft and well into the second. The wheels of publishing move slowly, my friends. Still, even though I didn't have a lot of outside influence in the form of reviewers or readers to guide the writing of the second book, I certainly learned some things along the way. The first that comes to mind is just how hungry readers are for explanation. One of the biggest criticisms I had for WINDS was the fact that not much of the underlying magic is explained. I will readily admit that it's something that's haunted me ever since I got serious about writing. In the first complete novel I ever wrote, I went rather heavy on explanation. After reading some books on writing and getting real feedback from writers on the book, I realized how blatant I was being about backstory. Then the pendulum swung the other way; I pulled way back and often explained too little. I've adjusted since then, but I still err on the side of not over-explaining. Note that I say "over-explain" where most readers would simply say "explain." People want to know backstory. They want to know how the world works. They just don't want it front-loaded. They want to become interested in the world and the characters first. I'm so against simply "telling" readers that I resisted the suggestion to put in a summary of Book 1 at the beginning of STRAITS. It turned out to be a great idea that people have commented on liking, but at first it just felt, I don't know, info-dumpy. 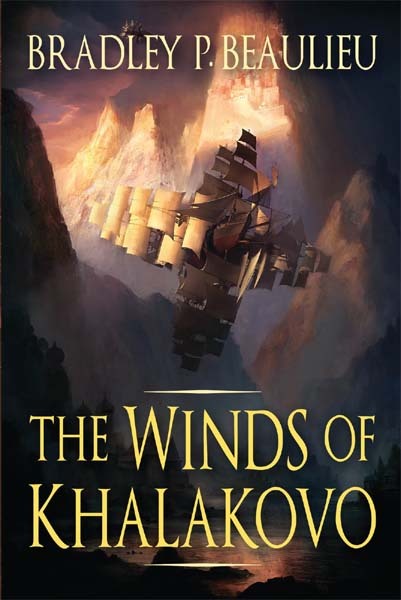 But of course the point of such a summary isn't to dump information, but to re-orient the readers of WINDS before they dive into STRAITS, and also to give brand new readers some sense of the story already told in the event that they come to STRAITS first. While writing STRAITS I started to grow more aware of just how hard it is to write metaphysical stuff. (I don't know if this is a lesson, per se, or more of a lament.) In the books, I have one type of magic that's akin to telepathy. Certain women called Matri submerge themselves in drowning chambers—basins filled with ice-cold water—and project themselves astrally. This stuff is really hard to write in a compelling way. I'm glad that I did it; it's a unique form of magic, and I think it adds a lot of cool mystique to the story. But let me tell you, I'll be surprised if my next set of books have even a whiff of such stuff. It's not that I dislike it. It's that it's exhausting to write in a way that I feel will be engaging to readers. The last thing I'll mention is actually not a lesson that changed my behavior, but reinforced it. Lessons don't have to be negative. They can be positive reinforcements of rules you haven't really grokked yet. Perhaps you'd been told about them but hadn't put them into practice, or perhaps they were lessons you stumbled across (things self-taught, in other words), but you'll find that some of your initial strengths get better over time as you see how well they're working. One such positive lesson for me was that finding and occasionally returning to my "center" as a writer is a very useful tool. This is a difficult thing to explain because it encompasses things like confidence and instinct, but what I'm talking about here is to trust in that inner, writer's mind that sometimes knows better than your conscious, waking mind. There were plenty of times in Book 1 where I felt lost. Sometimes I just knew I wasn't prepared for the session, and other times I started to write but came across a major stumbling block. I would often step away from the computer when I came across these sorts of barriers, but I would feel pretty bad when I did so. I'd feel anxious and behind. I'd feel like a failure, even if it was only for a day until I picked up my virtual pen again. But now, after seeing how wise those breaks were, I no longer worry about these little blips. I know that if I work at the problem, I'll eventually find a resolution, and it'll usually work out pretty well—if not in first draft then in the second or third. I did not, however, simply wait for the muse to return. I would use a set of writing techniques to help jumpstart my stalled progress. The first technique was to backtrack. If I'm lost, it's often because I took a wrong path in the writing a page ago, or a chapter ago, maybe even hundreds of pages ago. In one book (this was a painful lesson to learn) I found I'd taken a wrong path very early on. I had to re-write a ton of that book, and it was something that plagued the pages until I eventually gave up on the novel. Now I'm pretty good at recognizing not only that I've taken a wrong path, but identifying the place where I have to start over. This is a really good skill for young writers to nurture, because losing your way is one of the most common problems writers face, even the experienced writer. The second technique was to consider the continuum of the story—to look at what I had already, look at its trajectory, and compare it to the place I wanted to be by the end. Using this technique assumes, of course, that you have a decent idea of what the ending looks like. Not every writer does. I usually do, and this allows me to make informed decisions about the plot and the characters, not so that I can create a linear set of scenes toward some arbitrary endpoint, but so that I can craft character decisions and plot points that will create an interesting landscape over which the reader can travel. I don't always end up in the exact place I thought I would. In fact, I rarely do. But that ending I have in mind from the beginning of the story? It allows me to guide the plot in creative ways without letting things fall off the rails completely. The last technique I used was to return to that place that got me excited to write about these characters in the first place. It might be some of the original glimpses I had when the story idea first came to me. It might be looking at period artwork that gave me some inspiration. It might be some passage that I'm particularly proud of. The point is to return to a place of pride, creativity, of drive. I find that if I can do that, it will often advise my choices, and often I'll take the proper one to move forward. Sometimes finding your way out of writer's block is merely about confidence in the story, and this usually allows me to remember just how cool the story is in my head. Then it's just a matter of getting it onto the page. It was a long road to the completion of the second novel, and there were bumps and bruises along the way, but it was all well worth it. I'm very excited to finally share the second installment of The Lays of Anuskaya, and I sincerely hope you enjoy it. Bradley P. Beaulieu is the author of The Winds of Khalakovo and The Straits of Galahesh, the first two books in The Lays of Anuskaya trilogy and co-author of the novella Strata. 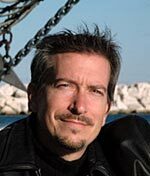 In addition to being an L. Ron Hubbard Writers of the Future Award winner, Brad's stories have appeared in various other publications, including Realms of Fantasy Magazine, Orson Scott Card's Intergalactic Medicine Show, Writers of the Future 20, and several anthologies from DAW Books. His story, "In the Eyes of the Empress's Cat," was voted a Notable Story of 2006 in the Million Writers Award. His website is www.quillings.com. Thanks for sharing your experiences. Writing is such hard work. I think I'll have to stick to reading.